Gallery of town and the Mór Derivational Suffix and Free-school Foundation of fine & Applied Art organized a two-week creator settlement three times last year on which altogether 16 creator bought parts, from among them on eleven were Székesfehérvári Művészek Társaság’s members. 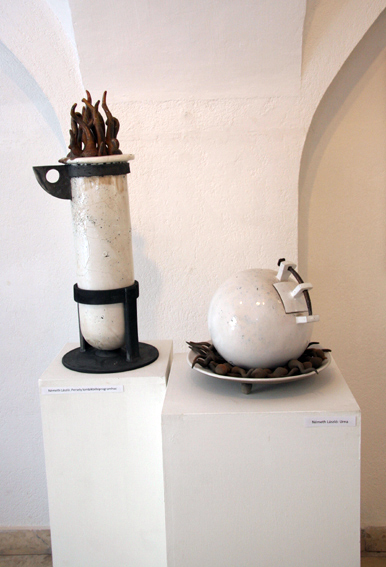 The paper ceramics, textile sculpture works and graphic ones which were made on a creator settlement, opens an exhibition in Székesfehérvár, Pelikán Galéria, that 2009. January from 15 February until 26 can be visited.